What the heck is going on at the Fashion Police show? Sure, momma Joan is no longer with us to keep the kids in check, but who would have expected them to get this out of control. 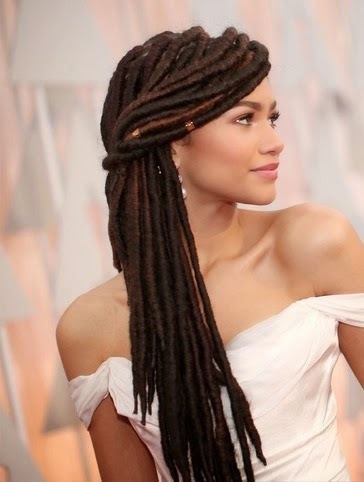 On February 23, 2015 comments had been made referencing the dreadlocked hairstyle that Zendaya wore to the Oscars. The comments Giuliana made was essentially that the Zendaya's hair (dreadlocks) suggested the possible smell of patchouli oil or weed. It appears that Kelly Osbourne possibly felt that rather than a failed attempt at humor, Giuliana's comments about incense and weed was mean spirited toward a particular race. Ranic later apologized, but Kelly apparently did not accept. Do dreadlocks make you think of incense or marijuana? 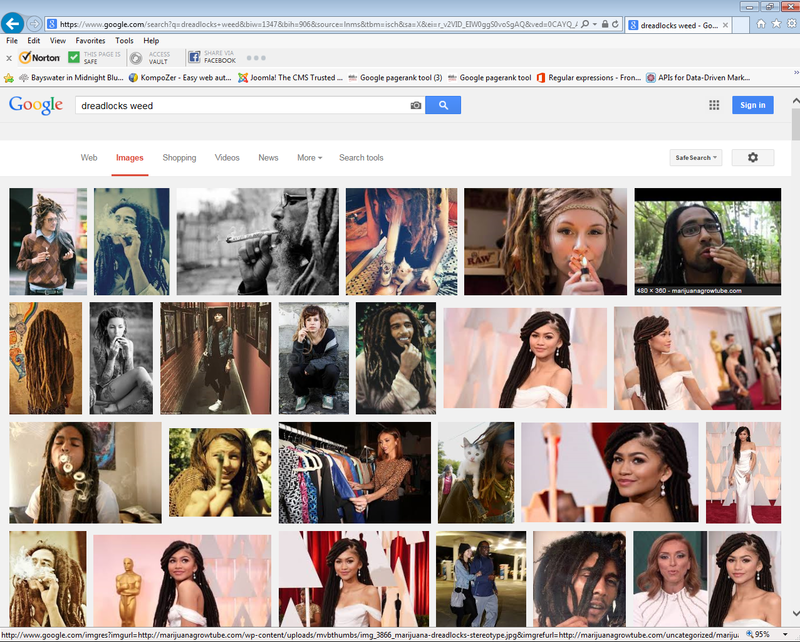 It is rather curious as to why Kelly associated comments about weed & incense to a particular ethnic group. Not sure that fair minded people would jump to that conclusion. Do "all" races use incense? Yes. Are all races capable of wearing the dreadlock hair style? Yes. Do all races use weed? Yes. Let's all take a lesson from the Rasta lifestyle and chill out about this issue. On February 27, 2015 E! said in a statement that Kelly Osbourne was leaving the Fashion Police show to pursue other opportunities. Here is what Kelly had to say on February 24, 2015. Patchouli is a species of plant from the genus Pogostemon. The heavy and strong scent of patchouli has been used for centuries in perfumes and, more recently, in incense, insect repellents, and alternative medicines. Extraction of patchouli's essential oil is by steam distillation of the leaves, requiring rupture of its cell walls by steam scalding, light fermentation, or drying. Patchouli is an important ingredient in East Asian incense. Patchouli is an important ingredient in incense. Both patchouli oil and incense underwent a surge in popularity in the 1960s and 1970s in the US and Europe, mainly as a result of the hippie movement of those decades. According to some Rastafari, the etymology of the word "cannabis" and similar terms in all the languages of the Near East may be traced to the Hebrew "qaneh bosm" קנה-בשם as one of the herbs that God commanded Moses to include in his preparation of sacred anointing perfume in Exodus 30:23; the Hebrew term also appears in Isaiah 43:24; Jeremiah 6:20; Ezekiel 27:19; and Song of Songs 4:14. Deutero-canonical and canonical references to the patriarchs Adam, Noah, Abraham, and Moses "burning incense before the Lord" are also applied, and many Rastas today refer to cannabis by the term "ishence"—a slightly changed form of the English word incense. 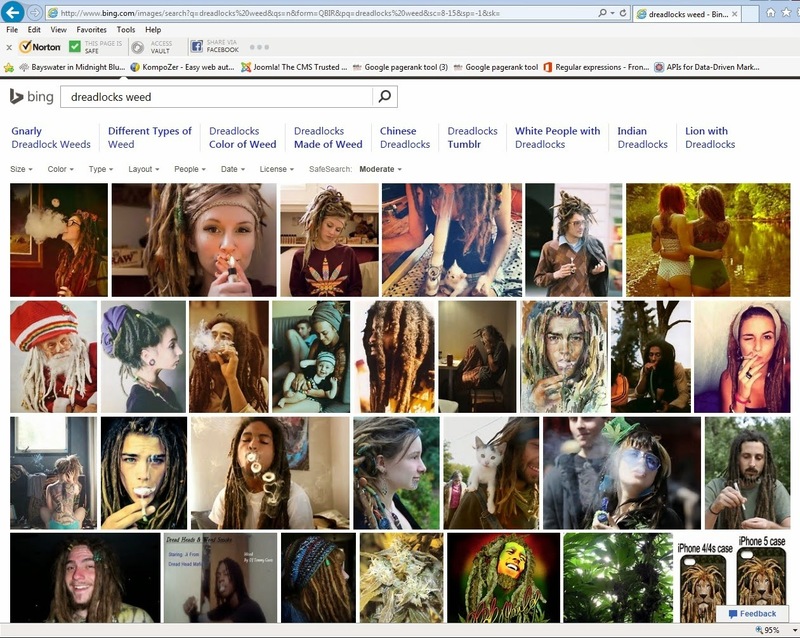 Dreadlocks, also dreads or Jata (Hindi), are matted coils of hair. Most dreadlocks are usually intentionally formed; because of the variety of different hair textures, various methods are used to encourage the formation of locks such as backcombing. Additionally, leaving long hair to its own devices by not brushing or cutting the hair will encourage it to tangle together as it grows, leading to twisted, matted ropes of hair known as dreadlocks. The latter method is typically referred to as the neglect, natural, organic, or freeform method. A common misconception is that those who have dreadlocks do not wash their hair, but this is usually not the case. Many dreadlock care regimens require the wearer to wash their hair up to twice a week. The Rastafari movement is an Abrahamic religion which developed in Jamaica in the 1930s, following the coronation of Haile Selassie I as King of Ethiopia in 1930. Its adherents worship Haile Selassie I, emperor of Ethiopia (ruled 1930–1974), some as Jesus in his Second Advent, or as God the Father. Members of the Rastafari way of life are known as Rastas, or the Rastafari. The Rastafari way of life encompasses the spiritual use of cannabis [1,2]. For Rastas, smoking cannabis, commonly referred to as herb, weed, kaya, sinsemilla (Spanish for 'without seeds'), or ganja (from the Sanskrit word ganjika, used in ancient Nepal and India), is a spiritual act, often accompanied by Bible study; they consider it a sacrament that cleans the body and mind, heals the soul, exalts the consciousness, facilitates peacefulness, brings pleasure, and brings them closer to Jah. They often burn the herb when in need of insight from Jah. Cannabis remains illegal in Jamaica and most of the world and this has caused friction between Rastas and other societies. The wearing of dreadlocks is very closely associated with the movement, though not universal among, nor exclusive to, its adherents. Rastas maintain that locks are required by Leviticus 21:5 ("They shall not make baldness upon their head, neither shall they shave off the corner of their beard, nor make any cuttings in the flesh.") and the Nazirite law in Numbers 6:5 ("All the days of the vow of his separation there shall no razor come upon his head: until the days be fulfilled, in the which he separateth himself unto the Lord, he shall be holy, and shall let the locks of the hair of his head grow."). The Dreadlocks represents A lion's mane and Yeshua (Jesus) in his Kingly Character. Rastafari associate dreadlocks with a spiritual journey that one takes in the process of locking their hair (growing hairlocks). It is taught that patience is the key to growing locks, a journey of the mind, soul and spirituality. Possibly Kelly Osbourne should chill out a bit (I am not suggesting she smoke a little dope). Arguing, abruptly quitting obligations, creating poor press for a show that Joan River's poured her heart & sole into for many years... Was that necessary? Possibly yes, but maybe not. Learn more about the Fashion Police show from our article about the fashion police transition from Joan to Kathy that we posted recently. It is important to note that NOT all Rastafari have dreadlocks, nor smoking weed. That is a common generalization.